If you have not met or heard about Elana Johnson before, then today is a day for the books. This lady is AWESOME. 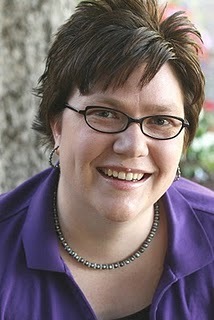 She is the author of From the Query to the Call, an ebook that every writer needs to read before they query. And her debut novel, Possession rocked my socks off. She runs a personal blog on publishing and is a founding author of the Query Tracker blog, a regular contributor to The League of Extraordinary Writers, and a co-organizer of WriteOnCon. About POSSESSION: Vi knows the rule: Girls don’t walk with boys, and they never even think about kissing them. But no one makes Vi want to break the rules more than Zenn…and since the Thinkers have chosen him as Vi’s future match, how much trouble can one kiss cause? The Thinkers may have brainwashed the rest of the population, but Vi is determined to think for herself. But the Thinkers are unusually persuasive, and they’re set on convincing Vi to become one of them…starting by brainwashing Zenn. Vi can’t leave Zenn in the Thinkers’ hands, but she’s wary of joining the rebellion, especially since that means teaming up with Jag. Jag is egotistical, charismatic, and dangerous—everything Zenn’s not. Vi can’t quite trust Jag and can’t quite resist him, but she also can’t give up on Zenn. I also had the joy of interviewing Elana to learn all her fabulously dirty secrets. 1. Q- How long ago did you get bitten by the "writing bug"? Elana-- I started writing in December 2007, so just about 4 years ago. Q--What is the biggest challenge you have run into being a mommy and a writer? Elana-- Time management. They say that as your children get older, you’ll have more time. It’s not true. They don’t nap, and they have more activities you have to take them to. And the nagging! Teenagers have to be nagged to do everything, and that can take a lot of out of a person. So definitely time management. I have to sneak in writing where I can, around someone else’s schedule. Q-- How many clones of yourself are you hiding from the world, because we cannot figure out how you get so much done with the same amount of time as the rest of us? Elana-- Ha! I have four clones that I know of. I think the Promotion Elana cloned herself at one point, but I’m not sure. I have a Clone Management clone to take care of that kind of stuff. Q-- How long did the idea for Possession take to form and fester before you started writing it out? Elana--Not long, which is saying something, because usually my ideas swirl around for a while before I write them out. But I had read my first dystopian novel in March of 2008, and I knew I wanted to write a novel like “that.” Whatever that was. So after I learned the term dystopian, I started writing POSSESSION in April 2008. Q-- I heard that Surrender is not a direct sequel to Possession, what does that mean for those of us who are still rooting for Jag and Vi to be together? Elana-- It’s true. SURRENDER Is not a direct sequel to POSSESSION. But I can say that you will see Vi, Zenn, and Jag again in the book. There are some sequential elements, so never fear! Q-- I can tell there is a lot of work put into your success. Even when you talk about writing your query letters you talk about your research. What is the best advice you can give to those writers who are ready to query their first novel? Elana-- I think the best thing you can do is revise your query one last time. Take one more day to go over your agent list. Just give yourself two more days to make sure that you have the right list with a great query. Then my advice switches to BE BRAVE. Send that query with confidence. Smile through the rejection. And hang on until the end. Q--What are some of the writer's conference you have attended? Is there any one you would choose to attend over another? Elana-- I’ve been to several conferences and meetings. LDStorymakers is the biggest here in Utah, and has the best presenters. It’s also one of the most affordable conferences around ($170 for two days! ), and you don’t have to be LDS to attend. I’ve also been to meetings and conferences for The League of Utah Writers, and they are a great organization. I’m a member of ANWA (American Night Writers Association) and I’ve been to their annual conference in Arizona. Also very much worth it. LTUE can’t be beat for the money. It’s only $30 for a three-day symposium. It’s great for the fantasy and science fiction writer, the illustrator, and anyone really. UVU has a Book Academy that is great. And there are a couple of groups that do teen conferences (those are for teens, of course). So yeah. I think there is a wealth of conferences and opportunities for writers to improve their craft, get their market savvy on, and network with other authors. Conferences are invaluable for all of that. Plus, you get to hang out with other authors! That’s so much fun all by itself. Today we are not giving away a copy of Possession (although you should definitely go out and get your own copy, we have links on where to find it below), instead she is offering TWO lucky writers an opportunity to make their query letters sparkle brighter than a vampire at high noon. There are many ways to enter to win today's prize make sure you take advantage of ALL of them. One winner will be chosen through random drawing and the other will be chosen by Elana following the rules below. ALL ENTRIES MUST BE MADE BY 11:59 PM MST tonight, January 17, 2012. Be sure to leave a way to be notified of your win or at least check back in the winner's Circle to Claim your prize or a new winner will be chosen. 1. Post a 2-3 sentence pitch/hook for the book you are querying in the comments below and Elana (or one of her clones) will get to choose her favorite and offer them an entire query critique. 3. Become a follower of this blog (you must clearly state in your comment on this post that you are a follower to receive credit for this). 4. Follow MMW on Facebook (again, you must clearly state in your comment on this post that you have done this to receive credit). Have seen Elana on WriteOnCon and The League of Extraordinary Writers and she seems amazing! And I love query critique giveaways! Pitch for my upper YA sci-fi romance. Recaptured by the Primes, Ellanue is given a choice: be sent to Earth to train the new Sentinel, preparing him for the ritual to stop the end of the world, or be judged and, most certainly, executed. For her honor, she would rather die, but because of her secret unfinished business in another planet (with lives depending on her), she accepts the offer. However, convincing Blake of his own mission isn’t an easy task, and, shortening her time frame, Ellanue finds out the clock for the end of the world is already ticking as the invasion that will result in the end of the world is already being set-up. What an awesome giveaway! I already follow Elana's blog and I follow you guys here and on facebook as well! Chrissie Fox knows time is a fabric that can be unraveled by changing the past. So when her father is killed, and she has the choice to save him, she takes the risk and lives with the consequences. Eep! Can not contain the excitement!!!! I'm already a follower of both MMW blog and facebook page. No matter what Jonathan tries his stupid magic power won't reveal itself. If someone doesn't pull it out soon, all mortals are dead, and first on the Master's hit list are his parents. Awesome giveaway and so timely for me since I just worked on my query for my newest project. I'd love feedback on it. here it is. Seventeen-year-old Claire struggles with anger management issues but learning she’s a werewolf isn’t really something she can discuss with her shrink. When a Demon Lord comes to claim the supernaturals in Claire’s school, Claire must find a way to embrace the anger she’s fought so hard to suppress without losing her mind to the beast within her. 6 following Elana's blog, the League Blog, Elana's twitter, and WriteOnCon, checked out her website and love the images! following on Facebook. Is 'devastated' too strong a word for how I feel that the contributors of this blog are not eligible to win this prize? Boo hoo! I just got Elana's ebook "From the Query to the Call" and WOW! What a wealth of information. How lucky we are to be able to offer her expertise here at MMW! Thanks Elana! I love Elana! From the Query to the Call saved me. More than once. 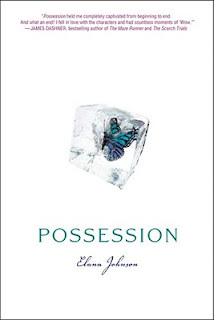 Since I already own Possession, and I was lucky enough to get Elana's help at a class at Storymakers last May before I queried, I'm not entering either. But what an awesome contest! I'm excited for everyone entering. Ten-year-old Steven Fisher knows his parents are hiding something in the closet. He's seen his dad grab a sword and charge through the closet door, he's seen his mom disappear in there with cases full of computer equipment, but all they've told him is that if anyone else finds out about their closet they'll have to move away. Not just away from Seattle - to another planet. This is so exciting! Thanks MMW and Elana! Since the beginning, prophets on Ryen’s home planet of Zhimeya have foretold of a mythic figure- a Savior- who would sacrifice himself to redeem mankind. There was just one catch. He would be born on a different planet, far away. When Ryen and his team’s search for evidence of the Savior brings them to Earth, they are thrust into the middle of a plot that puts not only Earth, but their own crumbling world, in grave danger. 3. I am a big fan and follower of this blog. 4. I am a facebook follower. When Fay discovers she may be the demon destined to annihilate her civilization, she turns to God and love to redeem herself. But when you have a natural urge to kill, sometimes not even the call of God can stop you. Crap! *facepalm* forgot my email address. Posting again! If I enter my pitch and all the other good stuff can I be entered for both possibilities? I'm going to do it that way just in case. Seventeen-year-old Kali Addison is time. When her father’s time machines are incinerated, she's left as the last time machine on earth. Hunted by a corrupt government who wants to reproduce her and anti-time travelers who want her dead, she must remember how to use her powers to stop them, or time is up — for everyone. Gabe de la Cruz takes seventeen-year-old Ellie Cummings down to his basement and shows her the huaca, a ritualistic artifact passed down from his Inca ancestors. He uses blood he draws from his own arm to offer as sacrifice to access the powers of the huaca. Through the huaca, Gabe and Ellie reach hanan pancha, the higher world and see Ellie’s dead mother who conveys to Ellie images that might help solve her murder. I am a follower of the blog, have liked it on facebook, will post the contests on facebook, and I follow Elana on Twitter. Thanks for the chance! How can you pass up such a great prize? Here's my query sentences! Kendra's uncle is trying to kill her. In a world where Hunters and Witches are mortal enemies, Kendra is an impossibility: the daughter of both, and her uncle will stop at nothing to annihilate such an abomination. Forced to stay on the run to save her own life, Kendra meets werewolves, the demon familiar she never knew she had, a Master Alchemist and his apprentice, and a blue-eyed soldier she can't help falling for despite the risks, but she'll also have an ancient evil to confront who wants to steal her magic-killing her in the process-as much as her uncle wants her dead. Set in the pristine beauty of the mountains in southwestern Wyoming, this 90,000 word novel has it all; a pregnant teenager, a shotgun wedding, hunting, brawls, and a budding romance. While hunting on an early October day, Mark Neild interrupts a drunken onslaught and saves Abe Penderton from a horrible fate. Their lives intertwine as they are catapulted into a series of events that would be too much for each of them to handle alone. Mark strives to help Abe and in return is given the little push to happiness he didn’t know he needed. I live in NZ and just saw Cassie Mae telling everyone about this wonderful opportunity. I hope I'm not too late!! Okay I have followed this blog - new follower. Yay. Joined up on facebook and advertised. Dead for the 17th time. But this time it's different. A cobra bite to the neck while in the in-between worlds of Gods has injected more than just venom into her veins. It has started a chain reaction which will not only change Loka forever, but Satya, the world as we know it, as well.